18 karat white and rose gold ring with colorless diamonds – 0.16 ctw. 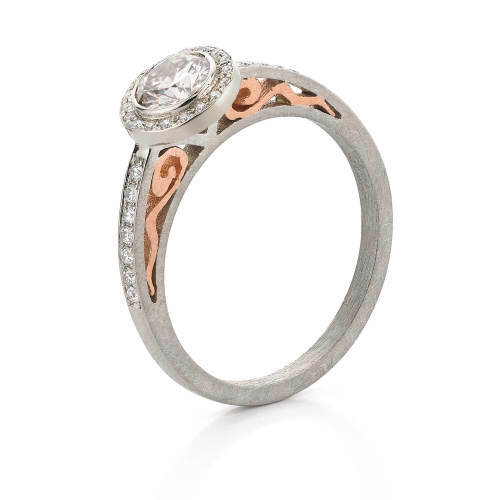 18 karat white and rose gold ring with colorless diamonds – 0.16 ctw, halo setting for round diamonds from 0.50 to 1.0 ctw. Width 2 mm, polish and texture finish.